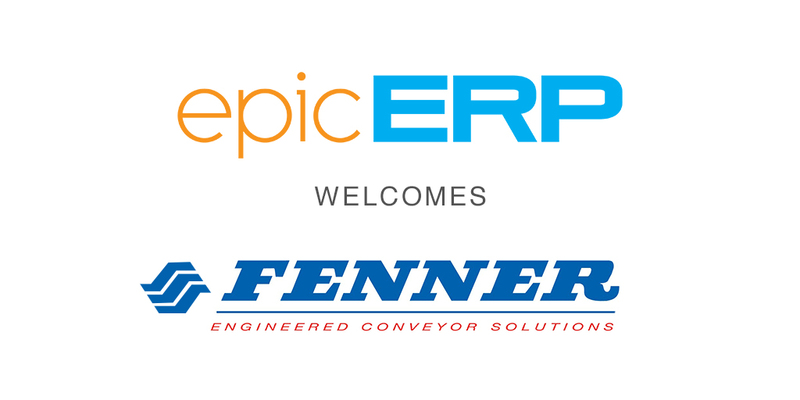 Epicor Software Corporation, a global leader in business software solutions for manufacturing, distribution, retail and services organisations, today announced that Fenner South Africa has chosen the next-generation enterprise resource planning (ERP) solution, Epicor ERP, to improve data accuracy, costing, integration and automation in their manufacturing process. This is to support the company’s goal of continued growth in Southern Africa. The solution has been implemented by epic ERP, the value-added-reseller of Epicor ERP in sub-Saharan Africa. Founded in 1861 in England, the Fenner Group was established to manufacture leather and encompassed belting, lacing and hoses. The company expanded globally over the next century and in 1960, Fenner South Africa officially opened its manufacturing facility and distribution outlet in Johannesburg. Fenner South Africa has focused on the Group’s Engineered Conveyor Solutions (ECS) division, and their state-of-the-art plant produces and distributes solid, woven conveyor belting to the mining, power generation and bulk handling markets throughout Southern Africa. Fenner South Africa had identified issues of data accuracy, costing and automation, and required an integrated, fit for use ERP system that could seamlessly be implemented in their manufacturing plant, to measure, manage and improve manufacturing efficiency. “While we enjoy over 65% of the solid woven conveyor belt market, our focus is to steadily increase market share by continuing to secure contracts with major mining houses and allied industries. To ensure that all the products we distribute are reliable, of the highest quality and meet international standards, we need a reputable and cost-effective ERP solution,” said Chris Bekker, Financial Director of Fenner Conveyor Belting South Africa.